Send your warmest wishes for a variety of occasions to a loved one. 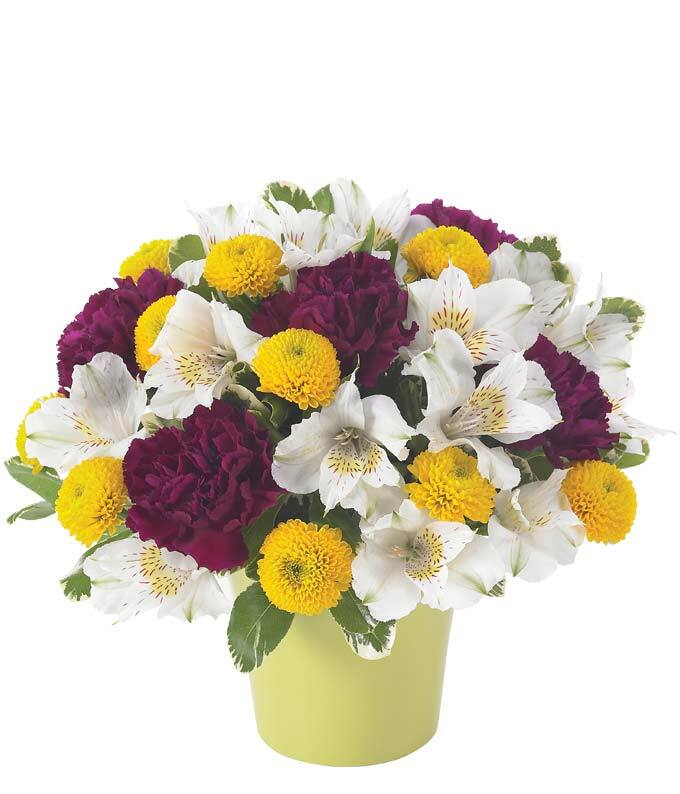 Deep purple carnations, yellow poms, and white alstroemeria are hand-arranged in a green cache pot. The Purple Sunset bouquet is guaranteed to make your recipient's day special. Measures 10"H by 10"L.